To refer to the global ecommerce sector as ‘large’ would be something of an understatement. By the year 2020, it is expected to be worth at least $27 trillion. As of 2017, it’s already valued in excess of $22 trillion. For those working in ecommerce, this meteoric growth represents both a blessing and a curse. More customers spending more money, but vastly more competition than ever before. Remaining in a prominent position and outperforming the competition isn’t easy, but there are various ways and means to help push things in the right direction. For example, just as website visitors in general respond well to dynamic experiences, so do online shoppers. 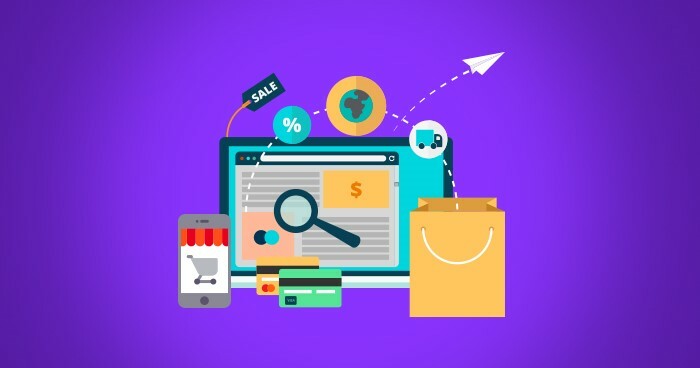 What this means in the ecommerce sector is going above and beyond the simple retail element, to offer your customers something richer and more engaging. Rather than serving as a simple online seller, build your brand and become an authority in whatever it is you do. Working with customer data to improve the overall experience no longer means simply compiling and studying reports at the end of every month/year. Instead, it means working with detailed analytics in real-time, in order to come up with valuable insights and drive sales up accordingly. All the periodic reports in the world cannot rival a direct insight into what your customers are doing right now. This basically refers to the process of creating and maintaining an open two-way channel of communication. Your customers need to feel that they can easily and instantly ask any question at any time, with the promise of a prompt and helpful response. A recent study found that almost 85% of customers now favour online retailers that offer an effective live chat system. By contrast, any difficulties or perceived difficulties in accessing customer support will drive business elsewhere. As competition continues to grow in every area of online retail, the importance of customer retention has never been higher. Nevertheless, research suggests that the vast majority of smaller to medium sized businesses are doing absolutely nothing to proactively hold onto existing customers. Along with incentives to nurture repeat business, customer retention also overlaps support and engagement. The more deeply you engage with your existing customers, the more likely they are to stick around. 2017 looks also to be the year in which more ecommerce businesses than ever before expand their efforts to overseas audiences. In most instances, simply organising a professional website translation can be more than enough to open up whatever it is you do to enormous international consumer groups. If it is something you are yet to explore, now could be the time to do it. And finally, pretty much anything you can add to your website that has been written or created by your customers only stands to actively encourage and reassure new customers. From testimonials to recommendations to photos of them using your products or services, it’s simply a case of building authority by using the most authoritative voices of all – those of your customers.